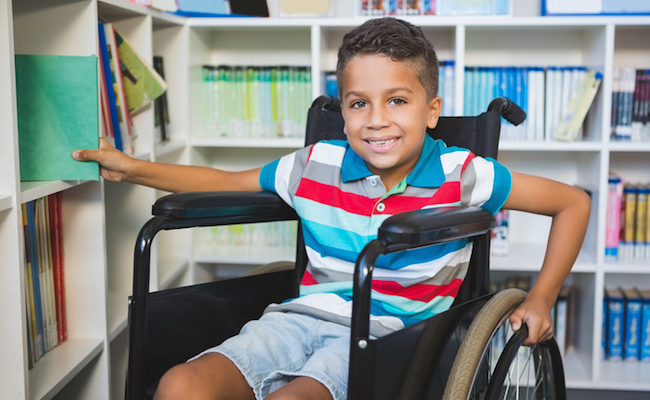 Care2 Causes | Why Is DeVos Eliminating Documents for Students With Disabilities? Why Is DeVos Eliminating Documents for Students With Disabilities? Fresh off her stint of taking a hatchet to campus sexual assault regulations, Education Secretary Betsy DeVos has a new target: students with disabilities. This month, the Department of Education officially rescinded 72 documents that focus on the rights of students with disabilities. Though the mass elimination came without explanation from the DOE, it is believed to be part of the larger Trump administration’s goal of cutting down on the overall number of governmental regulations. Education Week acknowledges that many of the affected documents were outdated or redundant. Of course, it looks less like innocent housekeeping when the DOE keeps the news quiet for weeks and then offers no clarification as to why it was done when reporters finally asked. That’s left journalists and disability rights organizations to do the investigation. None of the revoked documents – at least on initial review – seem to be so critical that their disappearance will outright strip special education students of their rights. However, that doesn’t mean they didn’t have any purpose. For example, parents of students with disabilities frequently turned to some of the deleted documents for clarification on what rights their children have under the law. Although some of these documents might be expanding upon what is already written in other regulations, it is helpful to have these rules spelled out in plain, accessible English rather than legalese. Lindsay Jones, a leader at the National Center for Learning Disabilities, also worried about the deletion of outlines for how schools can apply federal dollars toward their special education programs. Without documents guiding schools through an admittedly complicated process, it’s probable that some school administrators won’t know how to access funds to which their students are entitled. The Education Department took these steps without support from disability rights organizations. After seeking public comments on whether it would be appropriate to either update or repeal existing education regulations, advocates for Americans with disabilities overwhelmingly asked to have no changes made. During her Senate confirmation hearing, DeVos talked around a question about the Disabilities Education Act, saying it should be left up to the states. Another senator followed up to ask why states should have the discretion to disobey federal law, and Devos conceded she might have “confused” what the Disabilities Education Act was. Again, DeVos may very well be “confused” by regulations designed for students with disabilities, but that doesn’t make them any less useful to other Americans. Even the “redundant” documents are in the eye of the beholder – what looks like clutter to Trump’s team serves as an extra line of defense for students and their families should the White House decide to make another round of regulation cuts. After all, I’d rather see educational protections for students with disabilities on the books twice than not at all. She's a horrible person and should be forced into retirement. DeVos cares about the disabled like Trump cares about the disabled--zero!! No surprise there. Betsy DeVos knows what she is doing. She is undermining public education. I despise her. De Voss is a cancer on our educational system. DeVos is an extremely cruel selfish ignorant fool, without compassion and empathy--who has entirely too much money that could be helping reputable deserving charities! DeVos is confused?! BS! She's an elitist, spoil woman, who learn little when in college, and had absolutely no knowledge of what is required of her or why. She Is NOT Learning as she goes. She's just cutting and slashing requirements, like trump. Neither knows what they are doing, but she is doing as much damage as he is, only to our children! You are so right, Freya! Right, on Cruel J! DeVos makes 99% of all villains from popular culture look like sweethearts.